Photo by kind permission of Mr. Barry Kelly. 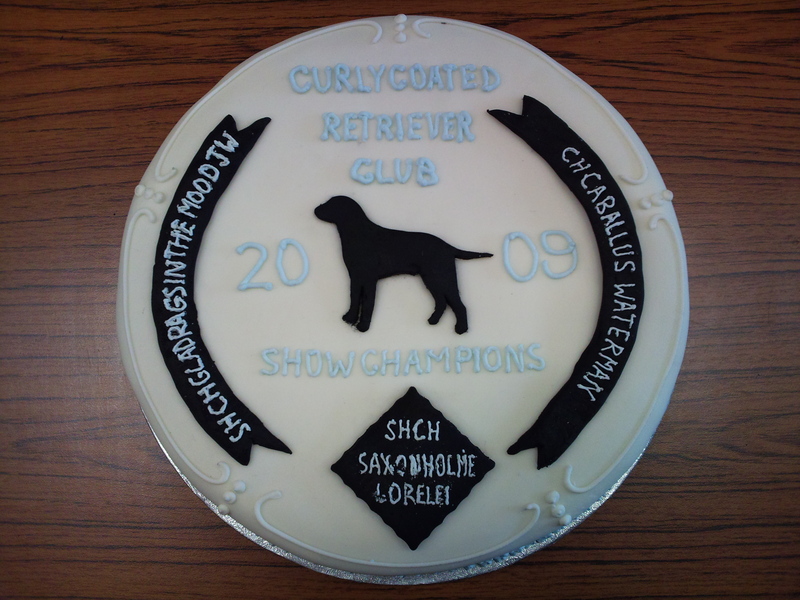 Muddy is from the well known Finnish kennel Caballus and the day after coming into this country was awarded best puppy in breed at Crufts in 2006. Muddy is a FULL CHAMPION and was best of breed at Crufts 2007, and was 1st in special working at Crufts in 2008 and 2010. He has also gained the Show Gundog Working Certificate, and works regularly on a shoot during the season. Champions Celebration Cake. 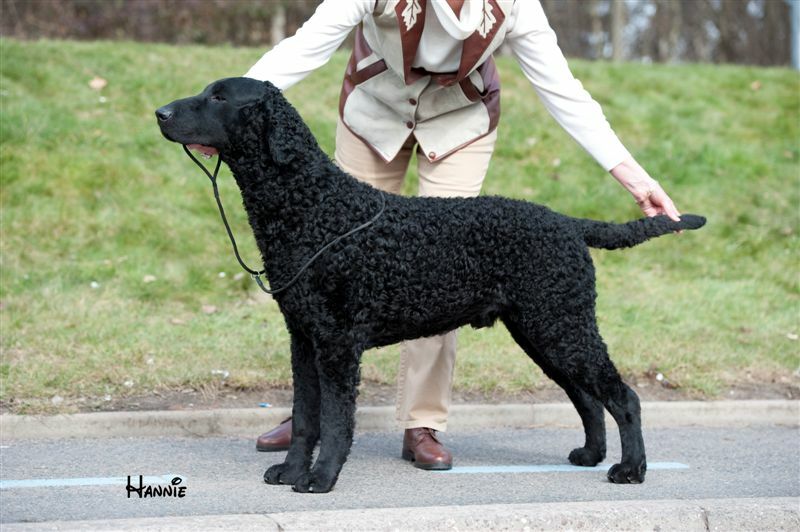 Curly Coated Retriever Open Show February 2010.